New research places the climate liability for this Michigan power plant as high as $1.2 billion. 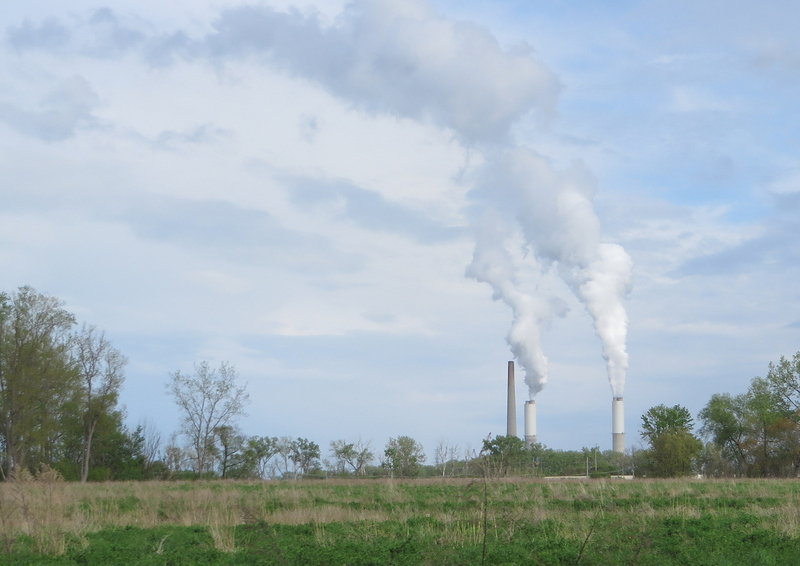 Coal-fired power plants across the country could be billion-dollar liabilities for utilities if their greenhouse gas emissions are challenged in court, according to researchers at Michigan Technological University. Should an entity — individuals, groups or governments — take legal action against utilities for their plants’ greenhouse gas emissions and contributions to climate change, researchers have developed a way to determine the amount of monetary damages that might be awarded to plaintiffs. These polluting plants, therefore, could have significant impact on shareholders, researchers say. While oil companies are under scrutiny over whether they adequately disclosed climate risks in securities filings, utilities face similar risks by not curbing greenhouse gas emissions from their conventional plants, according to a recent paper published in Renewable and Sustainable Energy Reviews. The research — co-authored by Michigan Tech electrical engineering and materials science professor Joshua Pearce and research assistant Negin Heidari — sought to quantify potential liabilities for the top greenhouse gas emitters in the country. The 10 highest-emitting power plants include four in the Midwest. And while some legal experts say getting monetary damages from utilities over their greenhouse gas emissions is unlikely due to legal precedent, Pearce believes greater public awareness and a wider body of research means the legal arguments are less settled. “For conventional power plants the potential liability due to greenhouse gas emissions was not well defined — so we did this study to attempt to begin quantifying the values,” Pearce told Midwest Energy News. “One of the questions I was really curious about is: Even if all climate change related damages were assigned to emitters would it even matter financially to the companies? “As it turns out – the potential liabilities are substantial and should not be ignored by investors,” he added. Among the top 10 emitters in the U.S., two are in Indiana (Rockport Generating Station owned by American Electric Power and Gibson Power Station owned by Duke Energy), one in Ohio (Gavin Power Plant owned by AEP) and one in Michigan (Monroe Power Plant, owned by DTE Energy). The researchers used seven methods found in the scientific literature to assign emissions liability, based on $80 per ton of emissions. Pearce said the potential liability among energy companies “varied widely” depending on which method was used. Under models that assign responsibility solely on companies, for example, DTE Energy’s Monroe Power Plant in southeast Michigan could be liable for up to $1.2 billion. The country’s highest emitter — the Scherer Power Plant plant in Georgia owned by Georgia Power Co. — has a $1.7 billion liability under the same models. Liability may also range from consumers to emitters or include shared responsibility. The “polluter-pays principle,” for instance, places liability on the emitter. An “ecological footprint” model, on the other hand, “results in all of the liability with consumers and thus zero liability for energy companies,” Pearce said. Pearce says that legal challenges against companies or governments are likely to increase as public awareness about the impacts of climate change — and how those could be curbed — grows. But Michael Gerrard, director of the Sabin Center for Climate Change Law at Columbia Law School, says legal precedent has already been set in the U.S. and that it is no longer promising to pursue monetary damages against companies for their emissions. In four key cases, plaintiffs have been unable to successfully take on major energy companies, and judges have ruled that complaints may be best taken through legislative or executive action. “Shielding themselves from potential money damages from greenhouse gas emissions is a much lower threat” than it was five to 10 years ago, he said. However, Gerrard said there is still a strong case to be made against utilities’ securities disclosures. Led by then-New York Attorney General Andrew Cuomo in 2008, the state began inquiring about utilities’ security disclosures on climate change, ultimately reaching an agreement for power companies to disclose climate risks to investors. Current New York Attorney General Eric Schneiderman is “using the same statute and same theory” in pursuing ExxonMobil, Gerrard said, following media reports last year about the company’s role in funding anti-climate change initiatives. A recent report from the Environmental Defense Fund also says that fewer than one-third of oil and gas companies are reporting and making publicly available data on methane emissions, a powerful greenhouse gas that also could pose risks to investors. “I expect there will be close scrutiny of electric utilities as well as fossil fuel companies on the climate disclosure front,” Gerrard said. However, Pearce said that the economic literature on determining financial liability from emissions had been lacking, even though there have been no U.S. courts to award monetary damages over carbon emissions. “That, however, is a poor way to estimate future liability as increased damages, a shift in public awareness (e.g. COP21) and improved climate modeling could enable more clear allocations of culpability,” Pearce said. Pearce’s study also notes that litigants already exist in other areas of the world. The report found that the Alliance of Small Island States, for example, has members that are threatening lawsuits if they are forced to leave their country as a result of sea-level rise. That financial liability could exceed $570 trillion, Pearce’s report says. James Thornton and Howard Covington of the U.K.-based environmental law firm ClientEarth wrote last month about the challenges at this point in assigning monetary liability to power companies, citing the need for more research. After all, utilities are not the only ones that contribute to climate change, and they could argue that even individual car drivers would have to be factored in, which “would quickly make the case unworkable,” they write. “For the time being, we need scientists to keep developing robust climate attribution science and lawyers to keep devising innovative ways to hold major emitters to account. This, maybe more than the Paris Agreement, could be the best way to protect people and the planet,” Thornton and Covington write. Ultimately, the researchers say that deploying more renewable energy sources can act as a hedge against potential lawsuits. But any emission-reducing improvements — such as converting to combined heat and power plants or investing in energy efficiency — could end up benefiting a company, Pearce said. “In the end, the less emissions a company is responsible for — the better,” he said. Assessing companies’ risk based on its greenhouse gas emissions and contributions to climate change is a concept that’s spread rapidly across the energy sector over the past decade. Ceres, a national nonprofit that promotes business approaches to environmental sustainability, maintains a database of publicly traded companies that warn investors about emissions-related risks in annual SEC filings. For DTE Energy, whose Monroe Plant ranks ninth on Pearce’s top-10 emitters list, deploying renewables is “part of a diversified energy strategy that is key to protecting the environment, and the growth of our company as well as the communities where we live and serve,” spokesman Brian Corbett said in an email. “At the Monroe plant you reference, DTE has spent $2 billion to install state-of-the-art emission control technology, which will reduce sulfur dioxide emissions by about 97% and nitrogen oxide emissions by 90%,” Corbett added. Both DTE and Consumers Energy — the two largest investor-owned utilities in Michigan — mention these potential risks in the latest filings catalogued on Ceres’ website. Sensing a growing public awareness worldwide about potential legal action against companies’ climate change contributions, Pearce sought to better define what those costs might be.